Increased Household Debt: What Happened? Household debt increased 1.2 percent over the first quarter in 2017 from Q4 2016 to $12.73 trillion, passing the $12.68 trillion mark back in 2008 when the Great Recession was just underway. This was the 11th consecutive quarterly increase in household debt. Such big numbers show that U.S. consumers are certainly borrowing again and are quite confident with spending. Household debt in the U.S. has been reshaped in such a way that it could realistically impact how financial institutions help manage their clients' liabilities. On paper, the recent swelling of household debt signifies a strong consumer base. It doesn’t necessarily point to heavy risk compared to what caused the crumble of the financial system nearly a decade ago. Although, there are still some signs pointing to the potential for some major waves, primarily as a result of high student loan debt and delinquencies. The composition of this consumer debt is much different compared to what it looked like back in 2008, according to a new report from the Federal Reserve Bank of New York. While mortgages still make up the majority of the debt obligations and remain the biggest burden, they take up a much lower proportion this time around and still remain under the peak of the financial crisis. Outstanding mortgages have actually gone the other way, and are down from approximately $9.3 trillion in 2008. Mortgage debt accounts for 71 percent of household debt, down from nearly 79 percent in 2008. Instead, student and auto loan debt are the biggest drivers of household debt in the U.S. over the past decade and have both seen sizeable increases over the recent past. Student loan debt more than doubled since 2008 and more than tripled since 2003 to 10.4%. Credit card balances, while still high, decreased by $15 billion in Q1 2017. Out of all household debt, student debt has climbed the highest. The largest increases since 2008's financial debacle have been in student loans and auto loans, which are areas that also have a high level of delinquencies. According to the New York Federal Reserve, total student debt has reached $1.3 trillion, a $700 billion increase from 2008. Over 44 million borrowers in the U.S. are currently sitting on this type of debt. The average student who graduated in 2016 has more than $37,000 in student loan debt compared to $20,000 only a decade earlier. 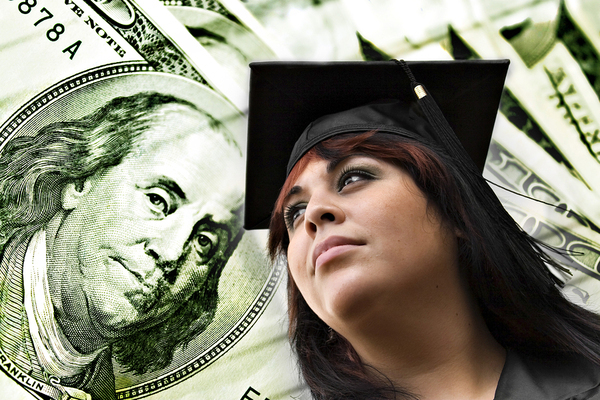 Student loans have more than doubled compared to $611 billion in Q3 2008, according to the Fed report. Not only that, students are falling so far behind on paying their debt back that 11.2 percent of all student loan debt is delinquent. While high-balance borrowers have traditionally had lower default rates compared to other borrowers, this gap is shrinking. The five-year default rate for 2010-2011 graduate borrowers who owe over $100,000 was 21 percent by the end of 2016, compared to 17 percent for 2007-2009 graduate borrowers. According to the Fed report, while overall default rates have stabilized since their peak at around 30 percent in 2013, delinquency rates continue to remain alarmingly high. About 10 percent of the national debt balance stems from student loans, the second highest rate in comparison to mortgage debt (which comprises 67 percent) and more than double the rate from 2008. Why such big numbers? The number of student borrowers has increased as well as the average loan size and length of repayment schedules. College tuition fees are through the roof, forcing students to borrow larger sums of money to cover the cost of obtaining their degrees. The next highest contributors to the national debt pool following student loan debt are auto loans, making up 9 percent, about one-third larger than their share from 2008. Over the first quarter of 2017, auto loan debt is nearly $1.2 trillion, a gain of $350 billion from 2008. That's the eighth consecutive quarter that automotive obligations hit more than the $1 trillion mark since Q2 2015. There were $142 billion in auto loan originations in Q4 2016. According to the Fed, 3.82 percent of auto loans and leases combined were in severe delinquency in Q1 2017, compared to 3.52 percent over the same quarter in 2016. Delinquency rates were pretty stable over Q4 2016, with a slight improvement in 30-day delinquent balances. The big red flag in the auto loan realm is the growth of delinquencies of 30 days or more, which expanded to $23.27 billion, the highest since Q3 2008 when it was $23.46 billion and up from $22.98 billion in the previous quarter. Severely delinquent auto loans - which are those that are past due 90 days or more - spiked to $8.24 billion in the fourth quarter of 2016, the highest since Q3 2016. The systemic risk posed by leveraged lending can have dire consequences on the economy as a whole. Lending to consumers who are already carrying a sizeable amount of debt comes with a much higher level of risk of default, making it much more expensive for the borrower. Overleveraging is at the hub of all economic crises, but could we be on the verge of an asset bubble burst? While leverage has improved since 2008, underwriting standards have become increasingly lax as consumers tightened the nooses on their spending and borrowing habits following the financial crisis. Banks are more comfortable lending, even to those who are over-leveraged, as a result of the perception of improvement in the overall economy. According to the Office of the Comptroller of the Currency (OCC), the Federal Deposit Insurance Corp, and the Federal Reserve, leveraged lending is increasing while sound lending practices are dwindling. Weak underwriting standards and covenant protection continue to be of concern in regards to leveraged lending. Financial leverage has been an underlying driver of economic crises. While the power of leverage has the positive effect of expanding consumer purchasing power, it can also lead to economic ruins when depended on in excess. 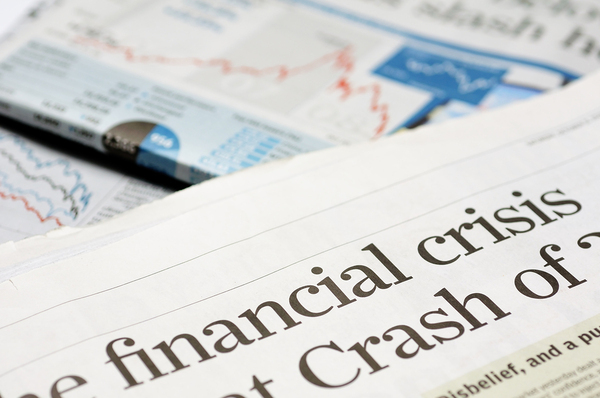 Many historical financial crises and economic recessions have either been brought about or worsened by excess financial leverage, including the Great Recession of 2008. During the various economic crises faced in the U.S. - and globally - leverage played a key role in fueling asset bubbles that eventually burst, as well as in dragging out the detrimental effects of recessions. There is certainly a strong correlation between leverage and economic crisis. When Will the Asset Bubble Burst? As the price of securities or other assets increase sharply and sustain this increased rate, their perceived value becomes overinflated. An asset bubble exists when a specific asset's market price exceeds the price determined by fundamentals and maintains this level for an extended period of time. As such, a collapse is probably in the near future, whereby the bubble can burst, putting a huge strain on banking systems. The formation of an asset bubble requires leverage and credit. The more credit borrowers get, the more they are able to spend, driving the price of assets up, including housing, stocks, and so forth. As credit starts to shrink, asset bubbles tend to burst. Asset price bubbles have garnered plenty of interest as they tend to lead directly to chaos in the financial markets and the economy as a whole, especially in the wake of financial crises such as the one experienced in 2008. Leverage is a predominant cause of asset bubbles. In the more recent financial crisis of 2008, mortgage leverage reached record levels. The housing boom and its subsequent collapse was brought upon largely by credit risk-taking by lenders which was further magnified by heavily-leveraged financial instruments such as credit default swaps and mortgage-backed securities. Easily available credit, lax underwriting standards, and low interest rates represented some of the main factors that led to the asset bubble. At the end of the housing boom in 2006, those who were optimistic about the housing market allowed borrowers to increase their leverage. As leverage spiked while prices simultaneously plummeted, more than 11 million households ended up underwater by 2011. The question is, will the current asset bubble that we are currently immersed in burst, and if so, when? Banks are not in the business of hanging onto a large proportion of delinquent assets. Doing so would increase exposure to risk and have a dire consequence on profitability. Along with the current skyrocketing of household debt in the country comes a high risk of default on swelling loan amounts. Selling off risky assets in favor of acquiring more robust short-term loans can improve the health of a loan portfolio. Financial institutions can partner with a seasoned full-service asset management company to optimize loan portfolios.